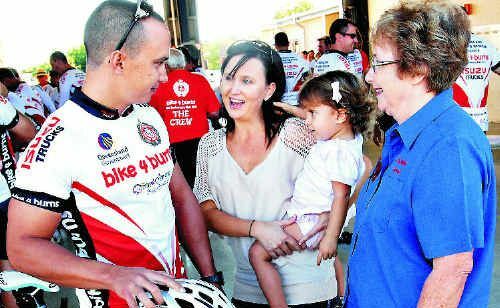 FORTY-seven firefighters from across the state set off from Mackay yesterday morning aiming to cycle 875km in eight days. The Bike 4 Burns charity bike ride has firefighters riding to Cairns to raise funds for kids with burns injuries. Dysart firefighter Michael Farrag will represent the region this year. For the past four years, the Queensland Fire and Rescue Service (QFRS) has raised $136,000 to provide vital funds for burns research at the Royal Children’s Hospital. This year, event organisers hope to raise more than $45,000. 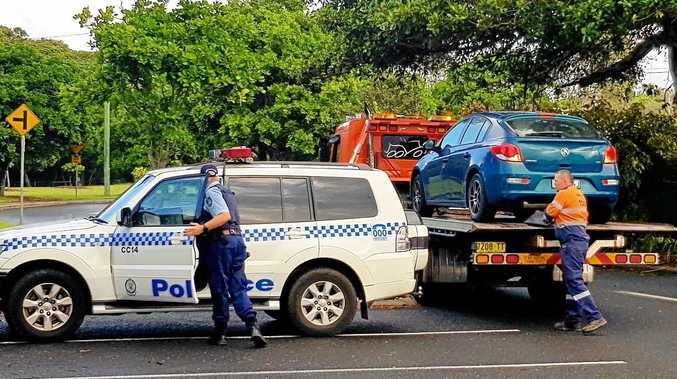 Firefighters will arrive in Cairns on May 17. Donations will contribute to important projects like finding treatments that prevent scarring on victims of serious burns. QFRS Acting Inspector duty manager operations Gordon Hemphrey, who has completed all rides since the event began in 2007, said he was excited about riding again in 2011. “As firefighters we know all too well the devastating affects burns can have on one’s health and esteem,” he said. Support for the event is still welcome and people are encouraged to make a contribution by visiting the Royal Children’s Hospital website www.workingwonders.com.au.